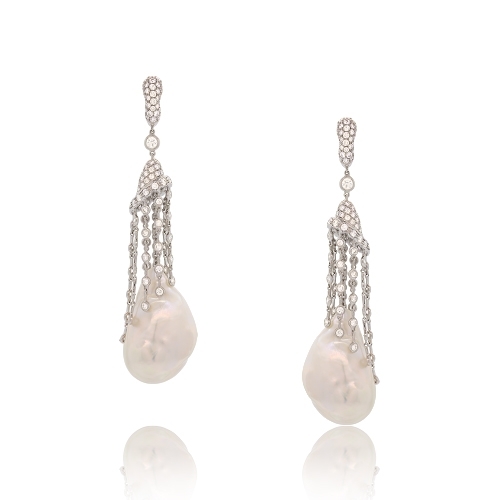 Diamond and pearl drop earrings composed of bezel set round diamonds & dangling baroque white pearls mounted in 18k white gold. Diamonds approx. 3.71ct. Earrings 3"